Sign In to EZCab to access your saved EZcab configurations. 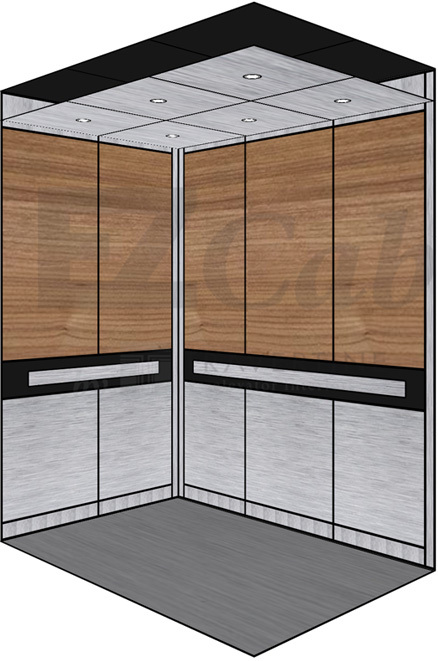 We at EZ Cab have a mission: to create beautiful, versatile elevator interiors that click neatly together using a streamlined installation process. Our goal is to eliminate much of the time and cost of creating fully custom cab interiors while still meeting our customers’ specifications and quality expectations. We can do this because we have used our technical experience in the elevator industry to build stackable cab components that anyone with a screwdriver and a level can install. 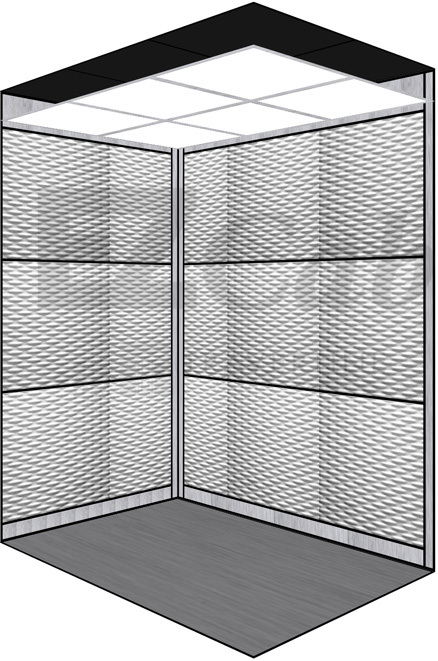 This means that completing elevator interiors takes less time and is more cost effective. Once you see how our process works, we know you will Consider it EZ. 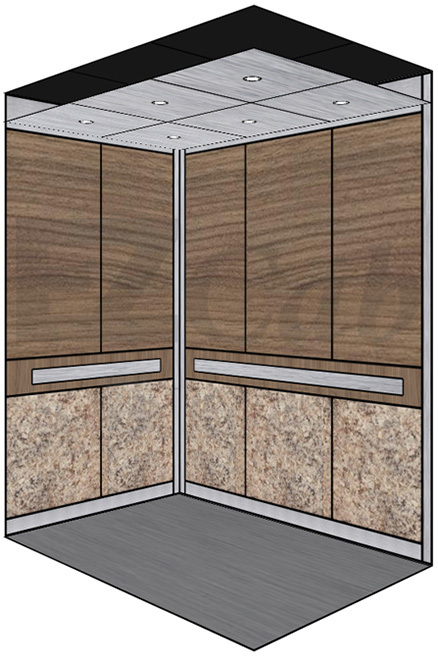 Travertine has been a leader in custom elevator interiors for almost 20 years. Our success is founded on quality workmanship, expertise in the elevator industry, and having an efficient process for completing projects. 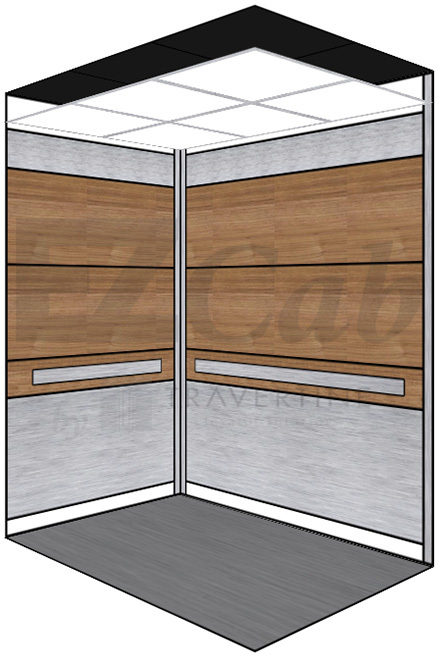 Our fully customized Travertine line of interiors has set the standard in elevator interior project management and luxurious appearance. Now, we have brought these skills to a semi-custom market with the development of EZ Cab. 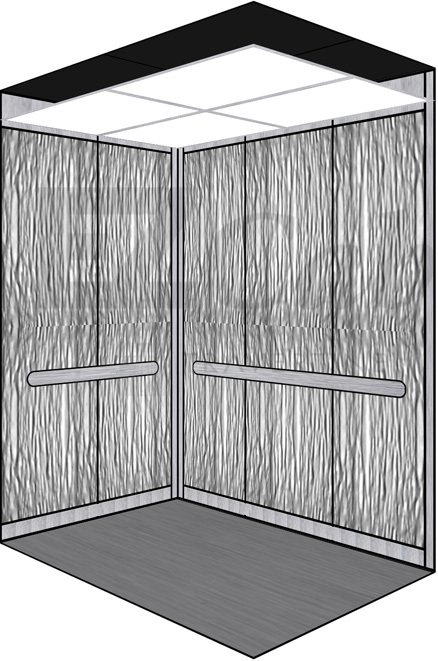 We provide many impressive, versatile choices for panel layout and materials for the panels, ceiling, reveal, handrail, and more. 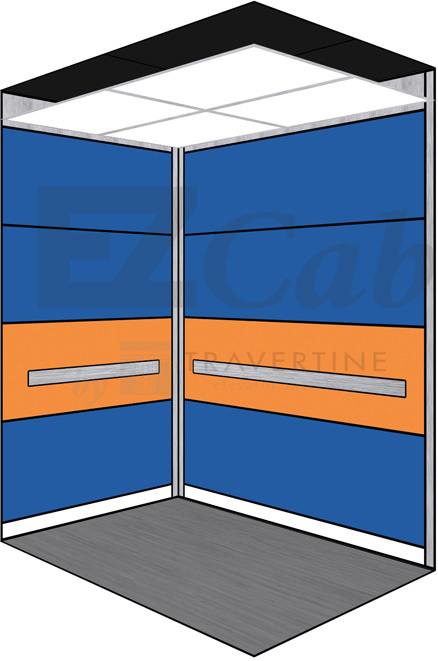 Our employees will even work to customize interiors within the EZ Cab line if a client needs. 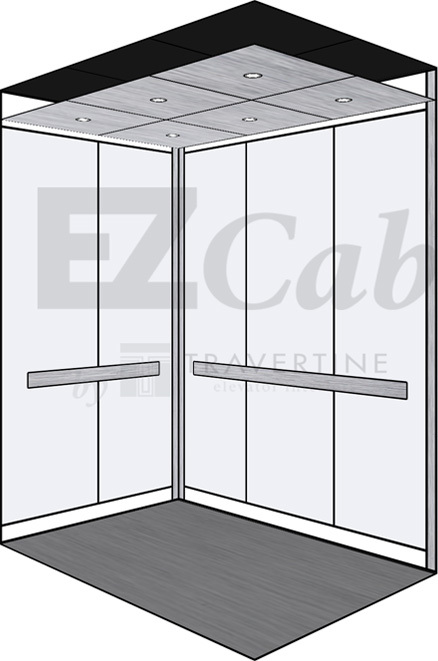 Our library of completed projects and renderings provides inspiration and shows the great versatility of EZ Cab. Our innovative portal allows users to simply click to make selections for each part of the interior. Thousands of combinations are possible, guaranteeing that you will find just the right look. Renderings will be available instantly in our 3D viewer that can be saved and downloaded to share. Simply provide your measurements and make your selections: the design process can be completed in minutes! Using the client’s measurements and selections, the stackable, click together sections will be produced and sent to the project location. 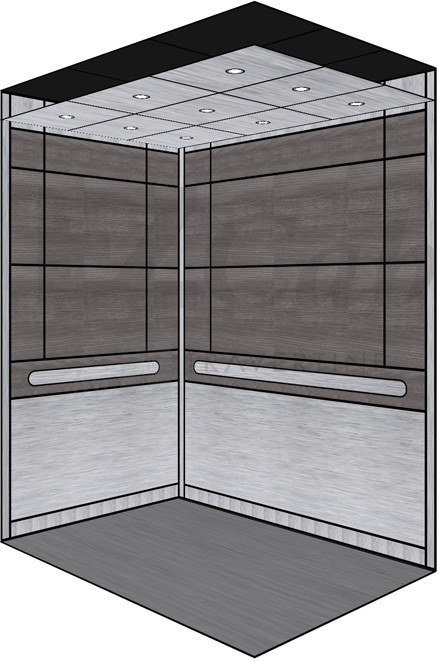 Then all that is necessary is someone with an electric screwdriver and a level to simply click the panels into place and attach them to the elevator cab. There is no need for specialized glues, tools, or knowledge. Travertine has built all the engineering into the EZ Cab sections. This unique installation process reduces the installation timetable from days or weeks to hours. 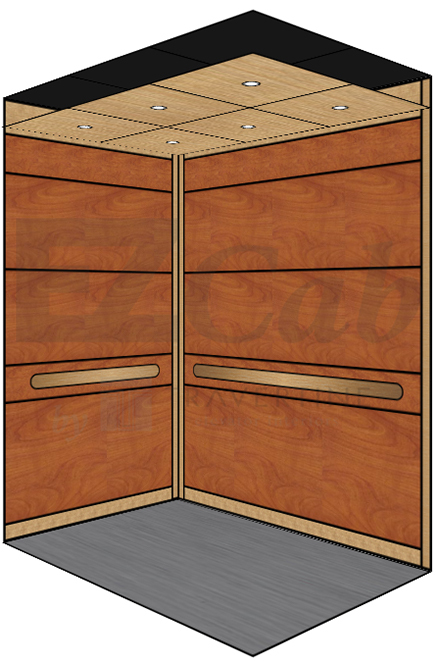 Travertine designed EZ Cab to practically install itself. 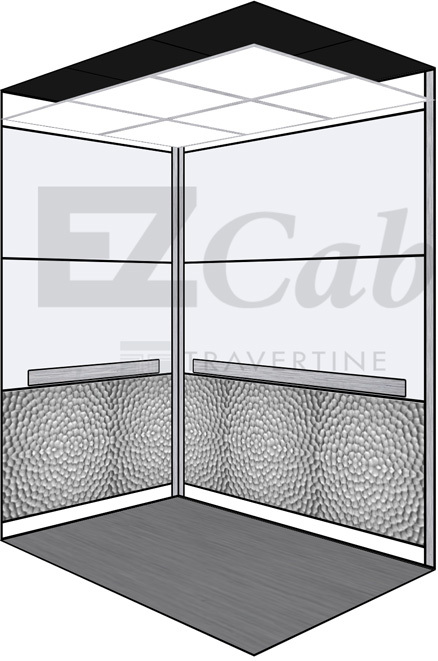 The simplicity of the EZ Cab design and installation process eliminates the need for a project manager. But don’t worry, unlike others in the industry, we won’t leave you completely on your own. At the time that a quote is created, each EZ Cab project is assigned an installation supervisor who will be available to answer any questions you may have. Our experts are available to insure that the project runs smoothly at every stage.